Last edited by downsy; 6 Days Ago at 10:10 PM. Not what you want to see when you park at a store on the way home after a 9 hour training session. Apparently the electric fan was ever so slightly rubbing on the transmission cooler feed line one part of the fan's frame has a break and allows a small amount of movement. Apparently it was just enough to contact that line. 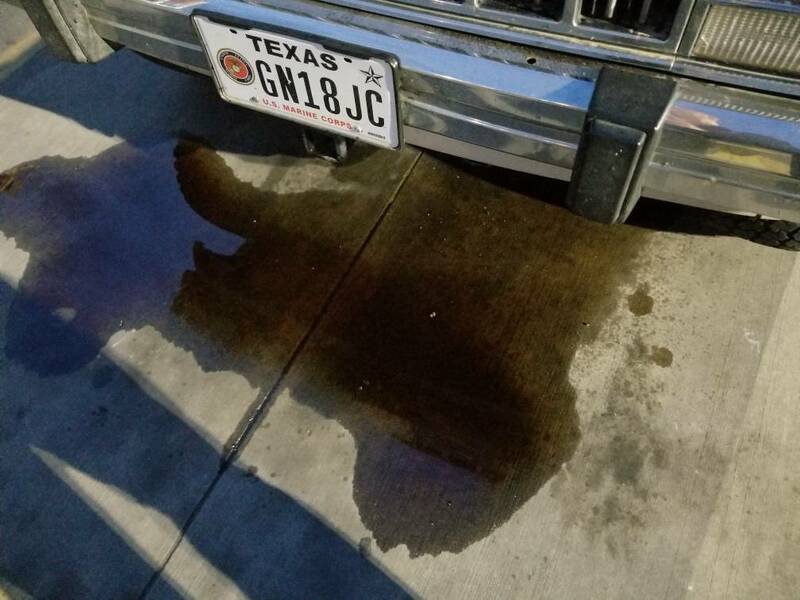 It ruptured somewhere betwern I30 and the walmart neighborhood market dumping a gallon of DexIII all over the place. Luckily the wife was home and came to my rescue so i didnt have to walk all over town. a gallon of DexIII and a line splice later i rolled to the pay and spray and hosed all the trans fluid off the Jeep.